It’s been about seven years since the last time that I was in New Orleans. This was still at least six years after hurricane Katrina hit, and it was STILL a mess. Driving around different cities, you’d see houses on high stilts, abandoned houses, houses that were demolished, or spaces that were empty because nobody could afford to rebuild. It was definitely a sad sight to see. Cut Throat City tells the story of a group of kids struggling to get back to normal life after the hurricane hit. What do you do when FEMA is paying attention ONLY to the cities that are bringing in revenue? What do you do as you continue watching you, and your neighbors struggle as they are receiving zero help? This isn’t a group of thugs, or gangsters. These are just people who turn to robbery, in order to try and save themselves, and their families. Believing that this is the only way for them to survive, follow their journey when Cut Throat City debuts in 2019!! Comic Con International 2018 brought us the awesome opportunity to speak with some of the principal actors of this upcoming RZA movie! We get to speak with UFC Welterweight champion Tyron Woodley, Demetrius Shipp Jr. (Miracle), Keean Johnson, and Denzel Whitaker (Andre). They tell us what is was like being in New Orleans, having to learn the “lingo,” and experiencing still, 13 years later, the leftover chaos of Katrina. 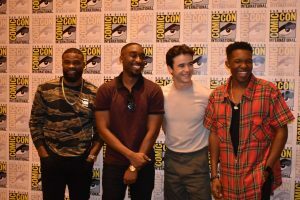 They talk about the different fandom, compared to some of the other projects they’ve done, and Tyron talks about MMA being the catalyst to other opportunities, like acting. 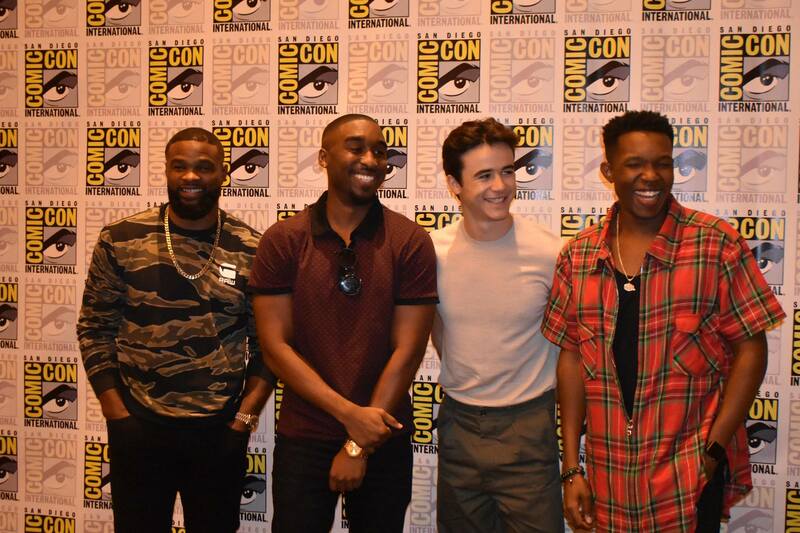 It was absolutely awesome getting to hear these guys talk about the passion that they have for the movie, and being able to be on set with the “veterans” of the cast. Wesley Snipes would challenge their bodies, and RZA would challenge their minds in between takes! Listening to them speak, plus learning about the subject matter, and having experienced it in the past, personally, this is going to be a good one! Do NOT miss this movie when it hits the theaters in 2019! Checkout the trailer, plus the small bit of video that we did during the press conference!